We are a group of cichlid hobbyists supporting research and conservation efforts thru our endowment funds. The ACA conservation efforts include saving species that are at risk or thought to be extinct in the wild, habitat preservation and restoration, and when appropriate the eventual reintroduction of species into the wild. The American Cichlid Association provides a variety of services to its members and local clubs, as well as financially supporting cichlid research. The American Cichlid Association's annual convention is the largest gathering of cichlid aficionados on the continent with the most remarkable offering of cichlid species. Enjoy the large community of cichlid aficionados in the American and resolve your doubts. Choose the American Cichlid Association as your charity and Amazon.com will donate with each purchase! 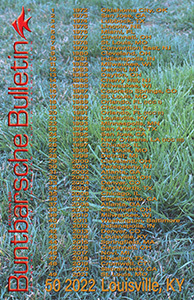 Buntbarsche Bulletin is the Journal of the American Cichlid Association.